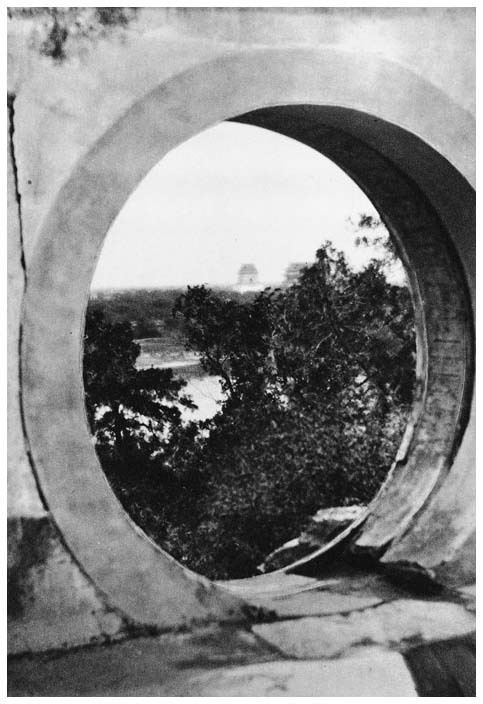 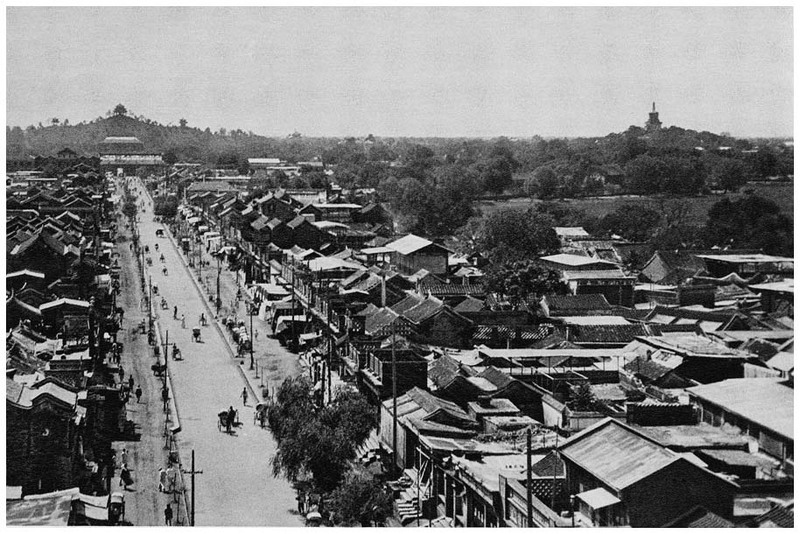 View of the Chinese town. 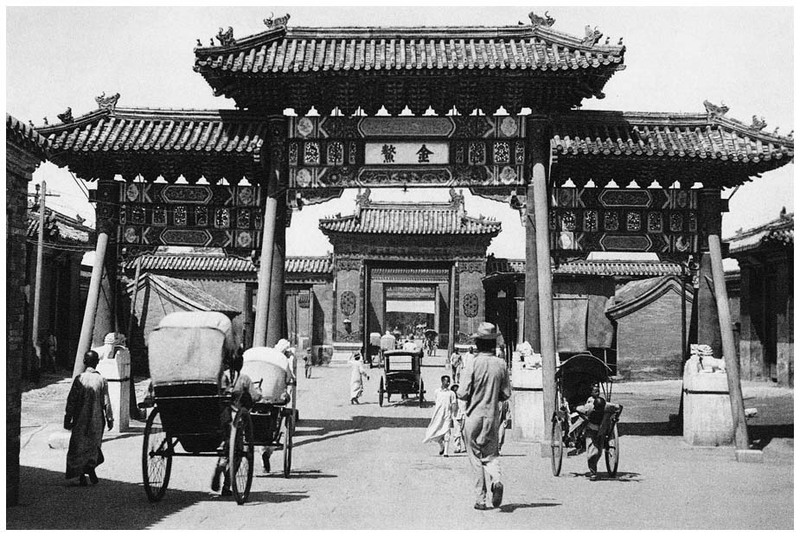 Entrance to the Imperial City. 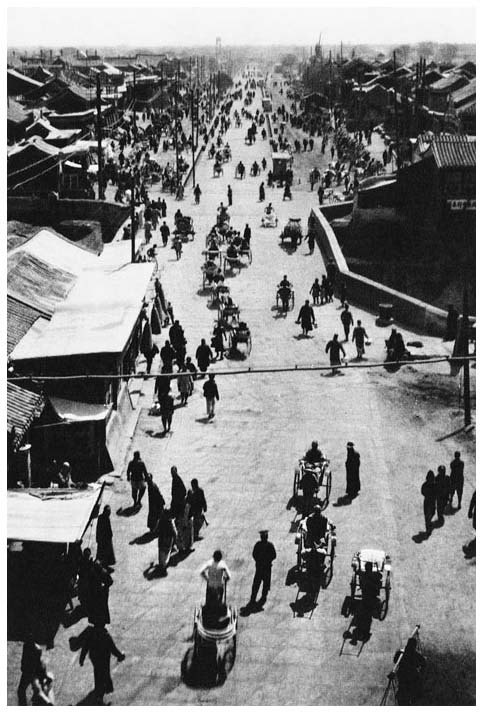 A business street in the Chinese city in 1920, not named. 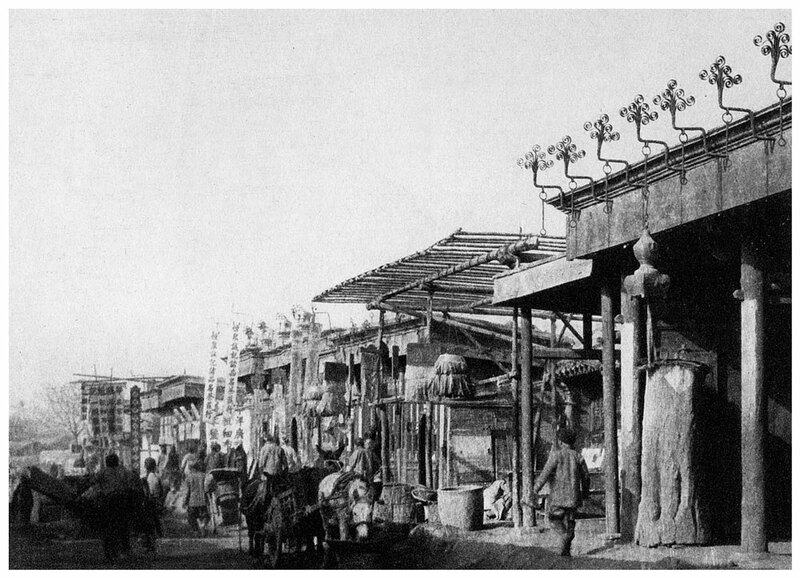 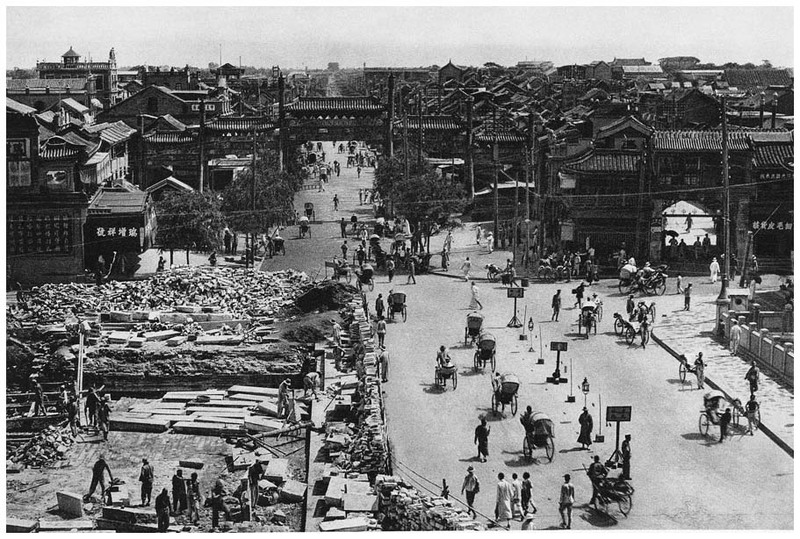 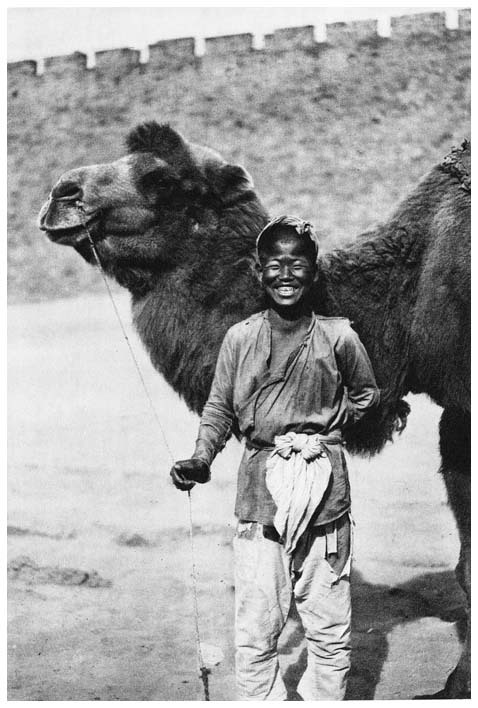 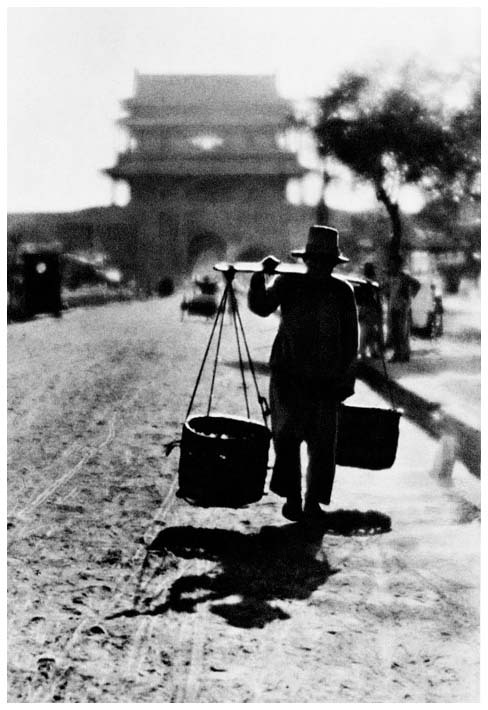 A street scene in old Beijing, circa 1900. 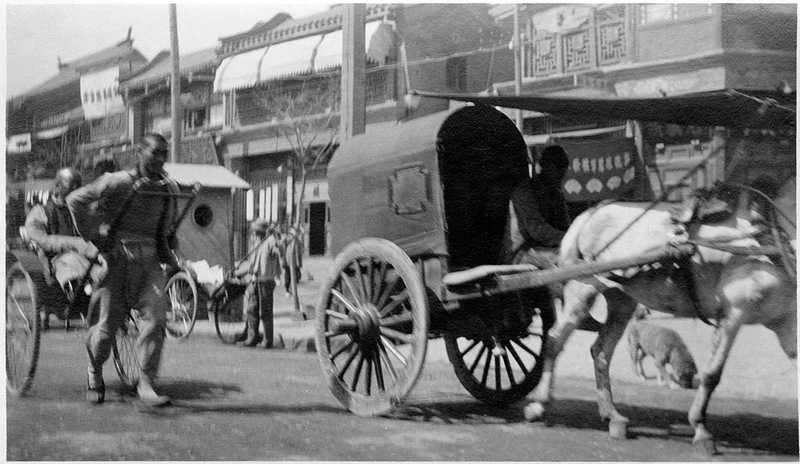 At left is a man pulling a rickshaw with a passenger in it, and at right a typical street cart. 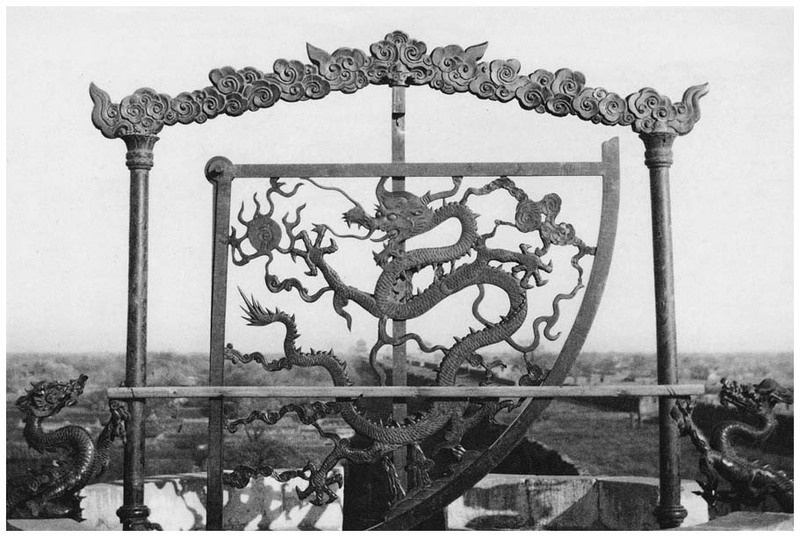 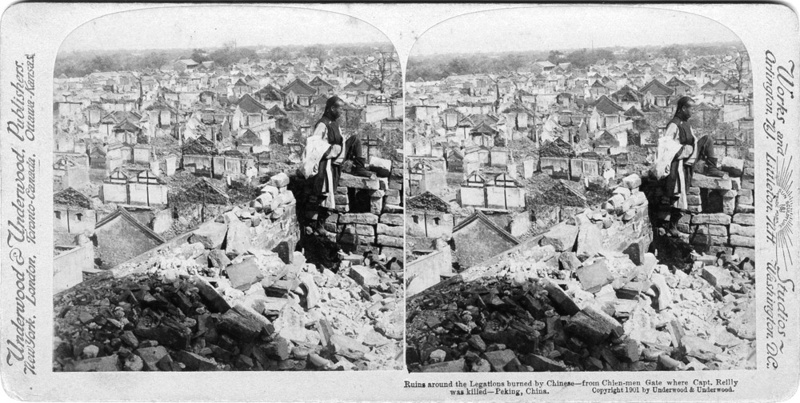 A stereoview photo taken by Underwood & Underwood in 1901, taken from the top of Tian Men (Ch'ien Men), showing the burnt-out houses of the foreign legation area of central Beijing (south of the Forbidden City), which were destroyed by the Chinese rebels during the Boxer rebellion.